With over 14 years of alternative energy leadership, Dunlop Energy continues to break new ground. With over 14 years of alternative energy leadership, Dunlop Energy continues to break new ground. With a global network of best of breed energy minds, Dunlop Energy is focused on delivering practical sustainable alternative energy solutions. In 1992 Scott Dunlop co-founded the Pure Energy Corporation, a next generation biofuels Company bridging the life science and petroleum industries. At Pure Energy Mr. Dunlop raised over $25M in private and public equity capital, orchestrating strategic alliances with leading global Companies, managing investment banking relations and capital raising programs. The firm is the only privately held Company to earn the distinction by the U.S. Department of Energy under EPACT, of developing and patenting P-Series, a liquid motor fuel defined as a “non-petroleum substitute for gasoline”. Under Mr. Dunlop’s direction the Company also patented and introduced E- Diesel, a cleaner burning ethanol diesel fuel formulation for compression ignition engines as well as proprietary biomass conversion technologies. In 2004, Dunlop Energy Development, LLC (DED) was formed to merge specific energy technologies to maximize efficiency in sustainable energy project development. 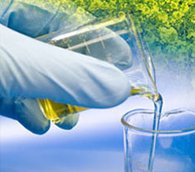 DED is active in developing global biodiesel, biofuel and wind farm projects. DED has joint ventured with the Shoshone-Bannock Indian Tribe in Idaho to develop both a biodiesel plant and wind farm. DED, under license from Pure Energy, continues the development of D-Series, a proprietary low cost hybrid alternative fuel for spark ignited engines. Mr. Dunlop is a member of the California Energy Commission Ethanol Working Group pursuant to AB1468. Leverage our global alternative energy knowledge.